Yes, we are one of the best! 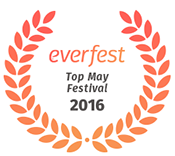 We are proud to announce that Lobster Clam Jam has been selected as one of the top festivals world wide in the month of May! PERENNIAL Events is an event production and fundraising company specialized in the creation of tailor-made events.